Finally, after several years, Jetstar Airways is adding additional flights from Manila to Singapore and Singapore to Manila. For the longest time, they only have one daily flight in and out of the Philippines, which was rather frustrating. Jetstar is my airline of choice when flying to Singapore, since I much prefer Terminal 1 of the Changi Airport than the Budget terminal (which doesn’t look budget, actually). To add to this, Jetstar is offering lower rates for passengers who are bringing any check in baggage. Fares start at US$65 for JetSaver Light, for travelers who are only bringing hand carried items (maximum weight of 10kilos). For just an additional US$10, you get a 20 kilo allowance for check in baggage with the regular JetSaver fare. If that’s not tempting enough, Jetstar sweetens the deal by opening a way for those without credit cards to avail of their cheap fares. Just make a reservation through phone, and you can deposit your payment to Jetstar’s BDO account. Is the USD65 two-way already? If it is, then it’s a good deal, ha? Thanks to budget airlines. Many people can now afford to travel. 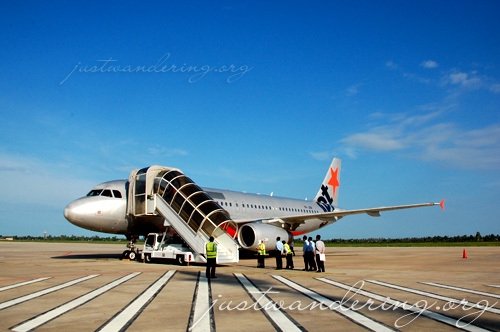 i love JETSTAR — we were able to get seats to SG for about USD 90 per head both ways. Abaniko: US$65 is one way only, I think. i’m flying to Singapore this coming Nov.26-Dec.02 2009, I only got the ticket online for only $80 round trip (Php 3800+), that already includes the tax and surcharges. I just have to pay the terminal fee and Philippine tax at the airport. Does anyone know the contact number for ticketing here in the philippines? The contact number (1800 1611 0280) in the website doesn’t seem to work? My family will be going to Singapore on July 2010 and I’ve been looking for the airport terminal of Jetstar here in the Philippines. Do we go to Ninoy Aquino International Airport (Manila) or should we go to Diosdado Macapagal Intl Airport (Clark) for our departure? do you have any contact details like telephone or email address of Jetstar booking office in the Philippines? wats the contact number so i could reserve via phone? Nika, this was posted in 2009. The information would probably have changed already. Best to head straight to Jetstar’s website. please help me,anyone here know where can i buy ticket to jetsar?im from manila manila to singapore and singapore to manila need it badly. Hi Jhocel, no need to worry. you can just buy another one-way ticket from Singapore to Manila. I will be travelling with Jetstar this Monday July 11,2012…I wanted to upgrade my airfare with Meals and full time Entertainment. Hence i dont have a credit card , i wish to pay it in cash. Do Jetstar have an office at Manila International Airport so i can do it?